SimplePress by Elegant Themes features a sleek, minimalist design that serves as a blank canvas for almost any niche or market. Despite its simplistic appearance, the theme comes with a number of powerful features and an easy to use options menu. Many people now surf the internet from their mobile devices, so it’s important to have a website that supports small screens. SimplePress is fully responsive. Its layout is altered depending on whether a user is browsing on a cell phone, tablet or computer. Users don’t need to zoom to read your content, and you don’t need to provide a separate mobile version of your site. Shortcodes. SimplePress supports a number of shortcodes including those for controlling layout and adding content boxes. Page templates. A range of page templates are included, such as blog, contact page, full width, gallery and search. These can be applied to individual posts for complete control over how your content is displayed. Regular updates. The theme will always be compatible with the latest version of WordPress due to frequent updates. Cross browser compatibility. Themes by Elegant Themes are tested to support all the major browsers, including Opera, Firefox, Internet Explorer and Chrome. Secure Code. Elegant Themes have a reputation for writing valid and secure code. This keeps your site safe from hackers, and the W3C compliant code makes it easier for search engines to index your content. If you love the features of SimplePress but want a more exciting design, ThemeMask is the ideal solution. ThemeMask creates “masks” for the best premium themes, such as SimplePress, that add eye catching imagery without affecting the content area. This is achieved using a CSS overlay technique, and the underlying theme’s code isn’t permanently altered. There are a number of masks available for SimplePress. Each contains unique images and a new color scheme. When you purchase ThemeMask for SimplePress you receive access to all compatible masks for just $19.90. Be amazed at how ThemeMask transforms the Simplepress theme below! You need to get the latest Simplepress theme to make ThemeMask works. 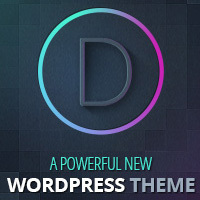 You can get it by signing up for ElegantThemes membership and get over 80 themes at just $69.